February is a transition month. In western Colorado spring can sometimes come in February or winter can continue its march towards spring. February is Super bowl. February is Valentine’s day and February is President’s day. Super bowl is one of those things which some people love and others hate. I love super bowl because of football, but also because of the new commercials that get aired during Super bowl. My favorite commercials over the years have been the Doritos commercials. They are silly, creative and make me laugh. All to sell flavored corn chips. Over 100 million people watch the super bowl and a 30 second spot can cost $5 million dollars. Can you believe that? Five million bucks just to promote an item. Is that crazy or what? When I was a kid Valentine’s day was great fun. We gave little valentine’s day cards to each other in class and shared those silly little valentines hearts with phrases like “be mine” printed on them. 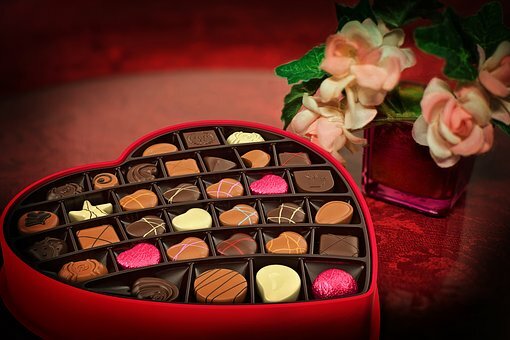 Valentines day is the second largest card giving day in America surpassed only by Christmas. Apparently, we as Americans pass out 150 million cards on Valentines Day. How did Valentines day get started? It has its vestiges in both Christian and ancient roman traditions. One catholic legend states that Valentinus, in direct opposition to the Roman government who decreed that soldiers were forbidden to marry, married soldiers prior to them going off to war. Legend has it that Valentinus healed his jailer’s daughter and from prison sent her a letter signed “your valentine” as a farewell. The day first became associated with romantic love in the 14th century. In 18th century England, Valentine’s Day evolved into an occasion where lovers expressed their love for each other by presenting flowers, confectionery and sending greeting cards known as valentines. In the 19th century “valentines” evolved from hand written notes to the current mass produced greeting cards. Symbols often associated with Valentines day are the heart, doves and the figure of a winged cupid. Presidents day is an American national holiday celebrated on the third Monday of February in honor of George Washington’s birthday. When my kids were growing up, Presidents day meant a long weekend which we used as a time to go skiing in western Colorado. We would pack up the kids and go skiing someplace in western Colorado that we couldn’t easily get to on just a Saturday. Crested Butte was our destination of choice, but we managed to hit Monarch a time or two also. It meant staying in a hotel, eating out and creating memories. I have many fond memories of Presidents days past. However, you choose to celebrate in February, we at Grand Events have what you need. Chafing dishes for a super bowl party, we’ve got you covered. Maybe it’s red linens, red chargers, white plates and champagne glasses to celebrate Valentines day. Whatever your party needs might be, we at Grand Events can help you with that special occasion.